As a state, Arizona has many scenic locations to visit. Among the more popular are the Painted Desert, Saguaro National Park, Montezuma Castle and what is frequently referred to as the "eighth wonder of the world," the Grand Canyon. Despite the wide array of beauty in the state, one additional area deserves special attention; Sedona. 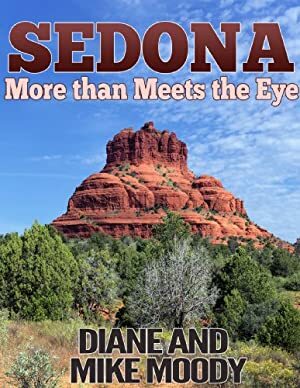 About two hours due north of Phoenix is the community of Sedona, AZ. It is located in the northern Verde Valley region of the state and is commonly referred to as Red Rock country. Log In to track Mike Moody on eReaderIQ. to be notified each time the price drops on any book by Mike Moody. to stop tracking Mike Moody. We started tracking this book on August 30, 2013. The current price of this book is $3.00 last checked one day ago. We last verified the price of this book about one day ago. At that time, the price was $3.00. This price is subject to change. The price displayed on the Amazon.com website at the time of purchase is the price you will pay for this book. Please confirm the price before making any purchases.